My tiny friend Wild Boo did not eat this week. Well, he did not eat much. 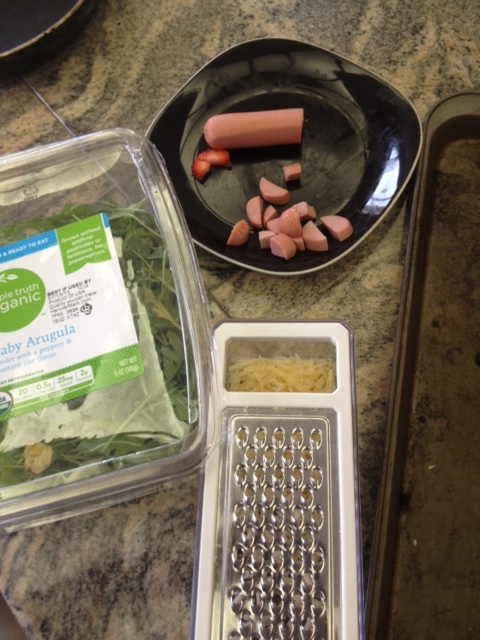 Aside from the bubblegum-flavored antibiotic he was force-fed and some formula, Wild Boo was on a food boycott. To be honest, food was not on the top of my list this week, when me and the rest of the Drew household battled three different viruses and infections. But when a baby doesn’t eat, it’s a little more worrisome. I worried with mushroom caps. This is a meditation on the few things Wild Boo consented to taste, if not actually chew and swallow. Preheat oven to 350. 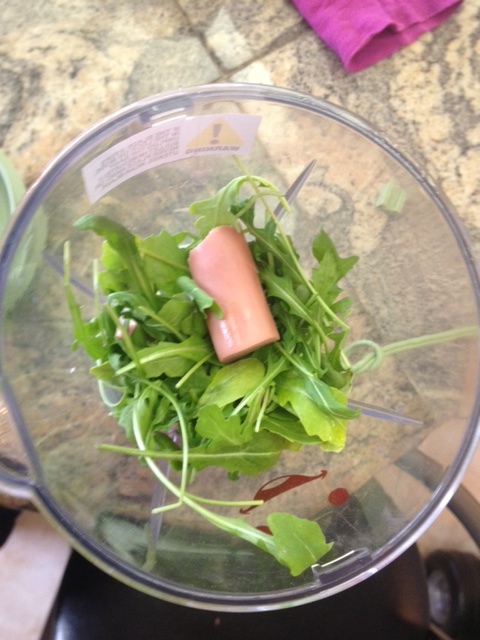 Put hot dog, mushroom stems and cheese and arugula in Baby Bullet. Process until mush. Spoon mush into mushroom caps. Some olive oil and balsamic vinegar could help but I didn’t salt or pepper this. Bake caps for 10 minutes or until the cheese melts and the mushrooms look sort of beaten.